Train rails aren’t as straight and perfectly regular as they might seem. Associate Professor José Escalona, here in front of Aarhus’ newest mode of transport, the Light Rail Transit, is developing a new system to quickly and easily detect rail irregularities. A system, that could provide considerable savings in annual rail maintenance. Photo: Lars Kruse. Every year, railway operators all over the world spend vast sums on maintaining rail systems. Researchers from Aarhus University are developing a new system to quickly and easily detect irregularities in the rails that would otherwise be extremely costly to discover. When you’re standing on the platform at Aarhus’ newest mode of transport, the Light Rail Transit, and you look down the line, at first glance it appears that the rails are completely straight and parallel, and they’re flat as a mill pond. But they’re not. Tiny bumps and bends are impossible to avoid when the rails are laid and the ground settles. Furthermore, daily wear and tear will cause larger and larger irregularities in any rail system. These cause vibrations in carriages, they make passengers’ journeys uncomfortable, and they increase the risk of derailment. 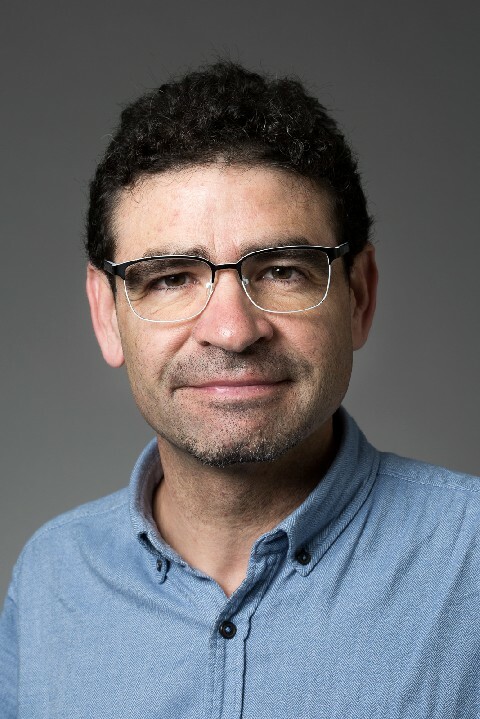 Therefore, Associate Professor José Escalona is currently working on a project that could greatly improve the chances of railway operators in Denmark and the rest of the world to discover irregularities and rectify them to make journeys more comfortable, and to reduce the risk of fatal derailments. “The vibrations you feel when you travel by train are primarily due to irregularities in the rails. The rails should be straight, but they’re not. The irregularities must therefore be kept to an absolute minimum, and this applies in particular for high-speed trains,” he says. José Escalona came to Aarhus University on 1 August 2017. He has researched trains and rail systems since 2001 in both Spain and the US, and the plan is to develop a solution that could provide considerable savings in annual rail maintenance, which is very costly for society. “Today, we measure irregularities with specially designed trains that move very slowly and therefore interfere with normal train operations. The system we’re working on can be used on a completely ordinary train to measure irregularities on any rail system in real time and at normal speed,” he says. This means you don’t need the special, expensive trains which disrupt timetables. Instead you can make measurements with ordinary train units in daily operation, and the railway operator can obtain an overview of wear and tear, where there are problems, and where it is necessary to make repairs or at worst stop the train because of the high risk of derailment. The system works using lasers and special video cameras, and by measuring how carriages respond to irregularities, José Escalona has developed a system that can calculate and use graphs to display the current level of comfort and the risk of derailment.